We really love these marble floor tiles that we laid out in a mosaic pattern for this bathroom floor. 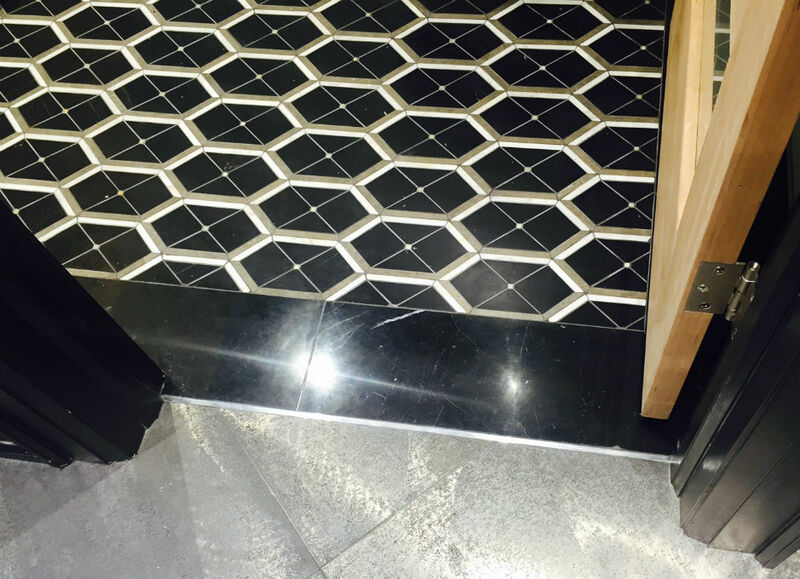 This polished six sided hexagon tile is called Concerto Mezzo marble. As you can also see the outer border of this bathroom is a 6 x 24 polished marble called Nero Marquina. We have received numerous complements on the look of these tiles.